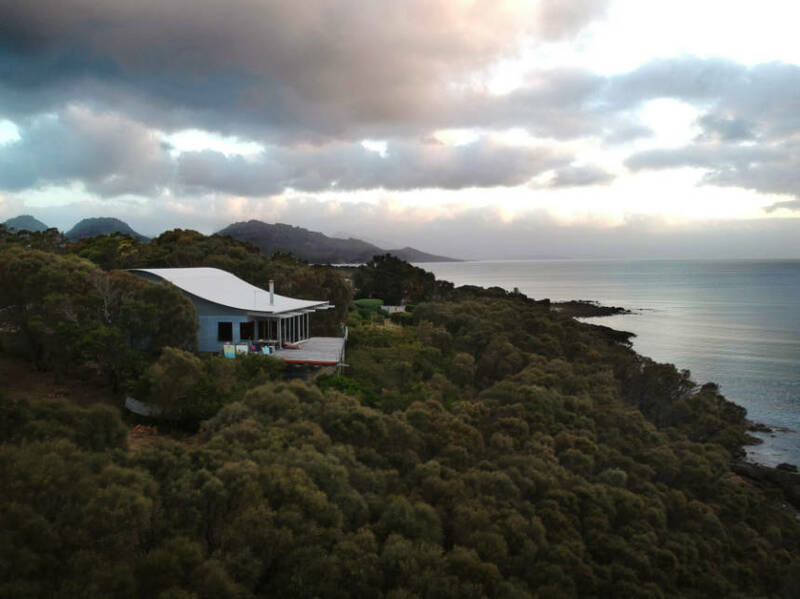 This spectacular holiday house is suitably named ‘Waves’ as it’s waterfront position provides incredible views of the ocean waves rolling onto Sandpiper Beach, in Great Oyster Bay, Freycinet. 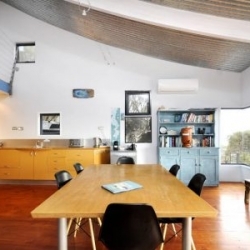 Waves will intrigue you with its unique, contemporary design, its access to the great outdoors, its appealing situation as well as its functionality and comfort. 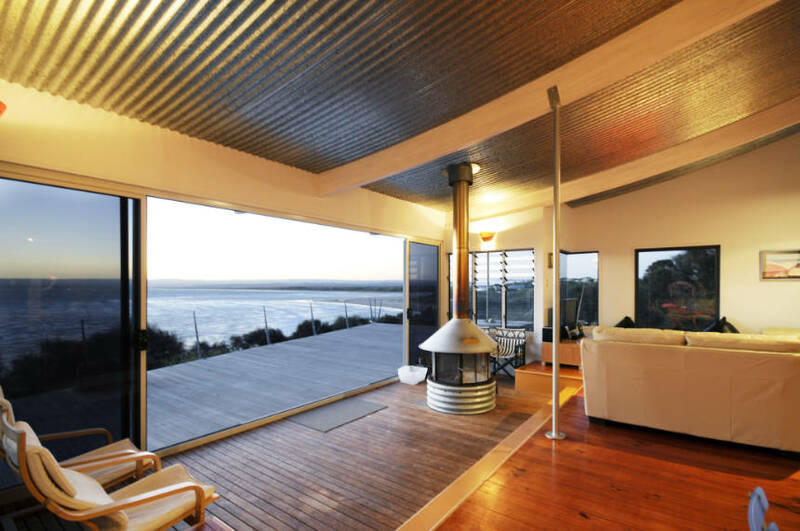 The moment you enter this beautiful beach house, the stunning 180 degree ocean and beach view will take your breath away! 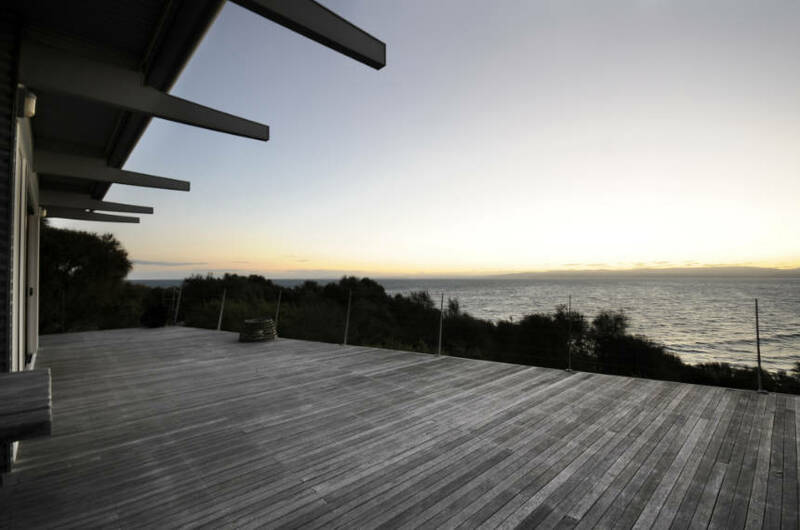 The expansive and elevated timber deck provides for wonderful indoor/outdoor living with a full width, floor to ceiling glass wall opening up wide and creating a waterfront experience that is beyond belief. 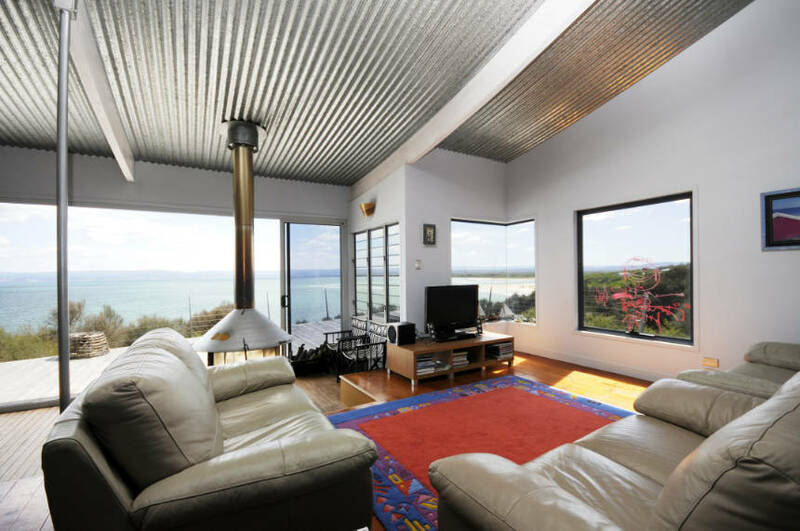 Relax out in the sunshine or within the living space, and you will feel like you are out on the ocean elevated above the waves while enjoying all the comforts that a luxury holiday house has to offer. 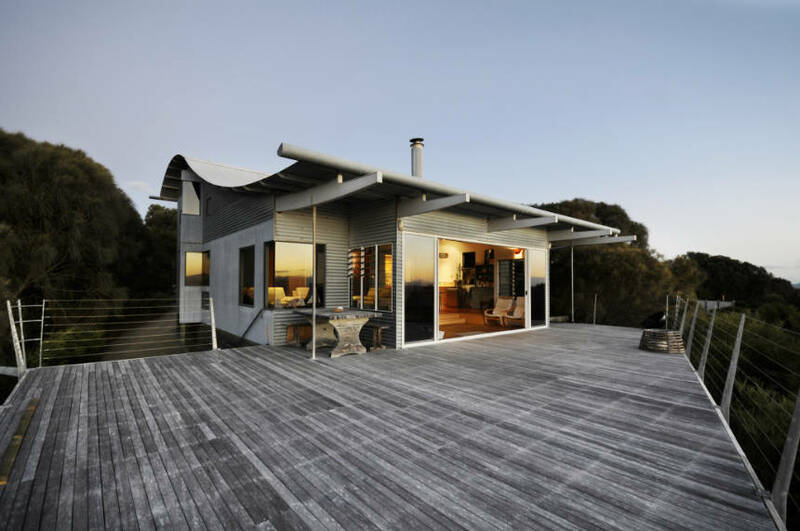 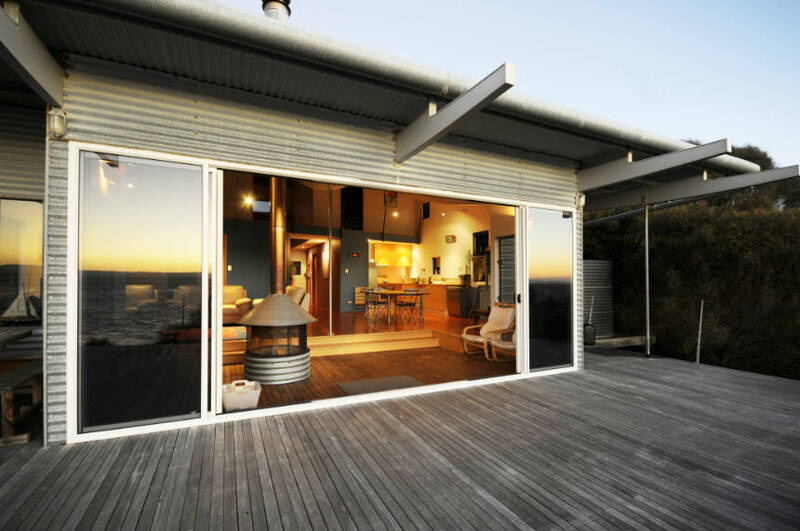 This National Award-winning holiday house is a true beach house, with a beautiful wave-like roof that is reflected internally in the open living space that is both functional and expansive. 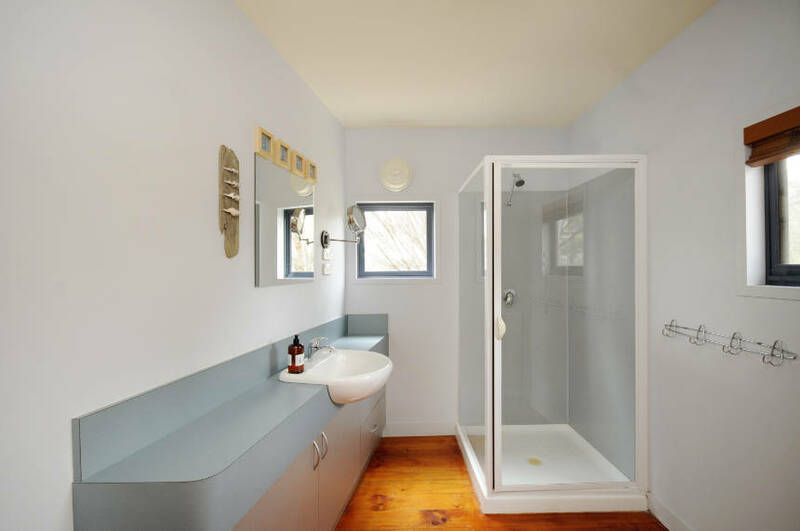 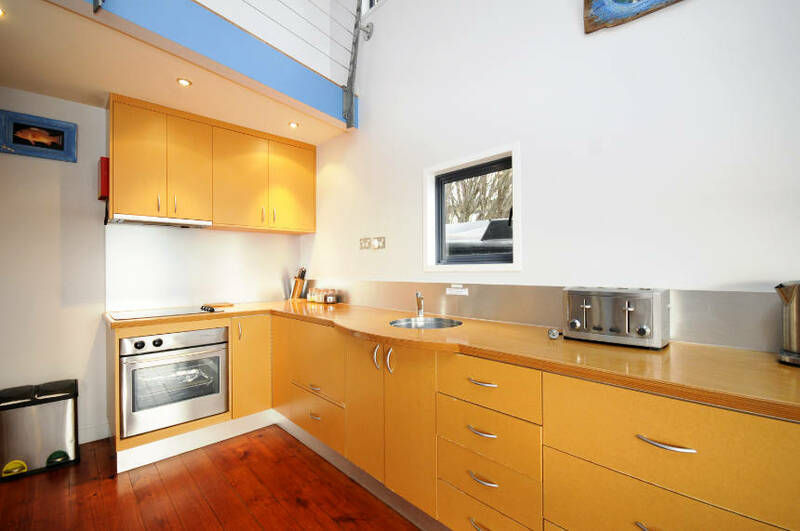 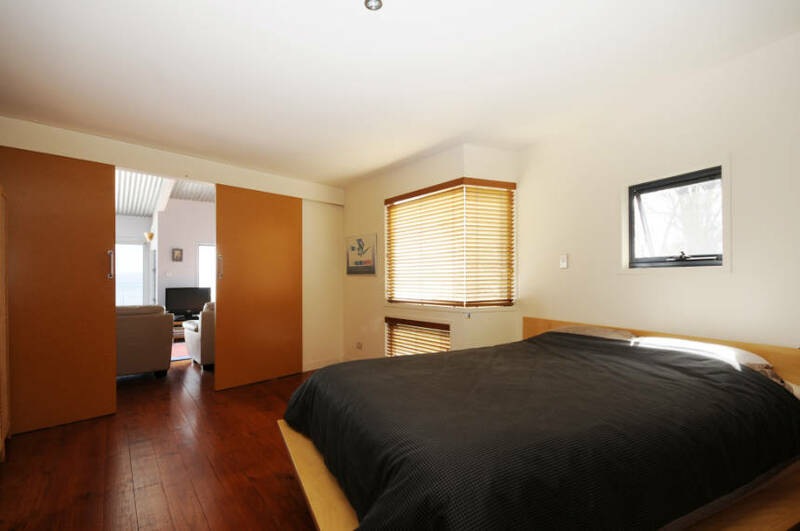 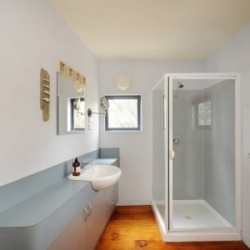 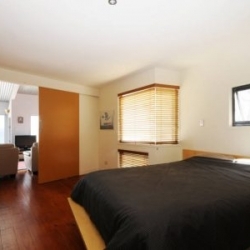 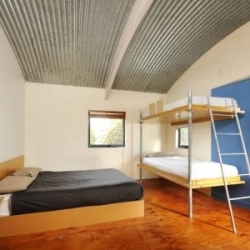 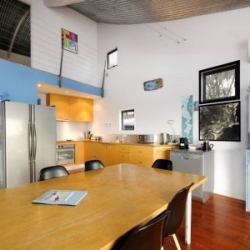 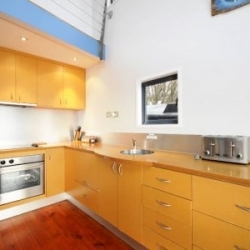 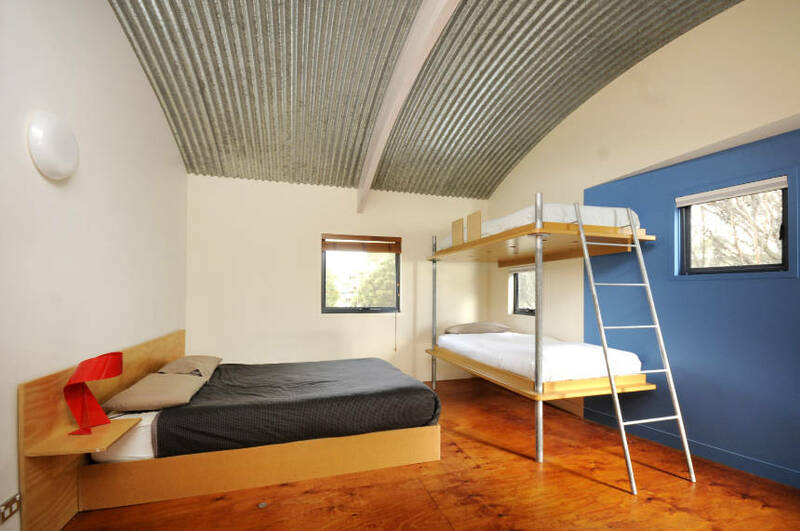 The well equipped kitchen is very accessible and forms part of the living space and there is a separate toilet and bathroom which also contains washing and dryer facilities. 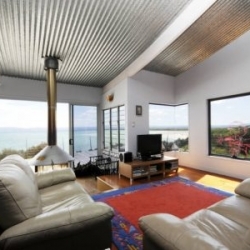 Each of the 3 bedrooms have their own wonderful ocean views with Bedrooms 2 and 3 opening up from the mezzanine level and the Master Bedroom is furnished with a King-size bed and its own separate bathroom, and is located such that you can open up the double sliding doors and enjoy the spectacular view from your bed! 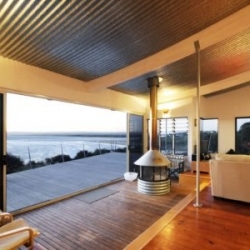 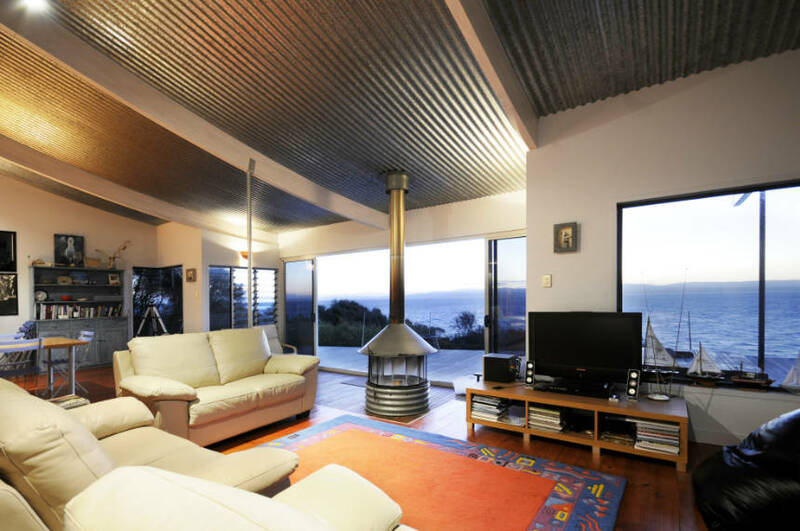 One of the joys of staying in this beautiful beach house, is sitting around the circular glass fireplace and watching the spectacular sunsets across the beach and the bay. 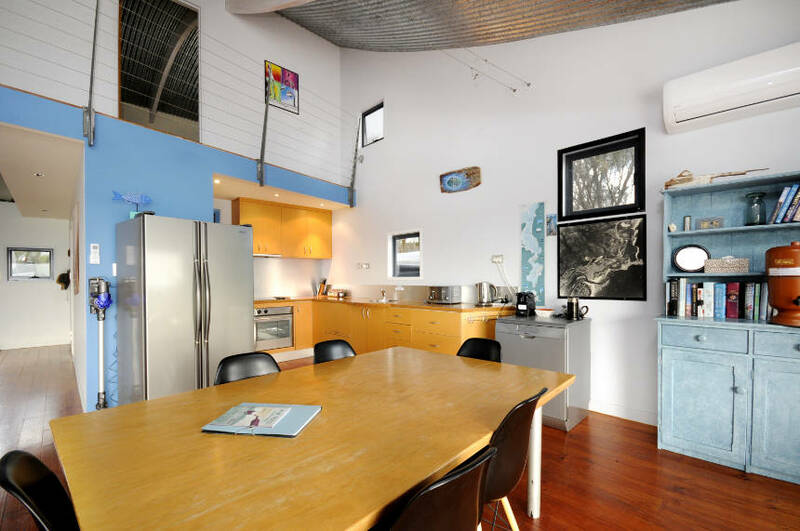 Waves is also equipped with air conditioning and heating as well as subtle lighting that adds to the wonderful ambience. 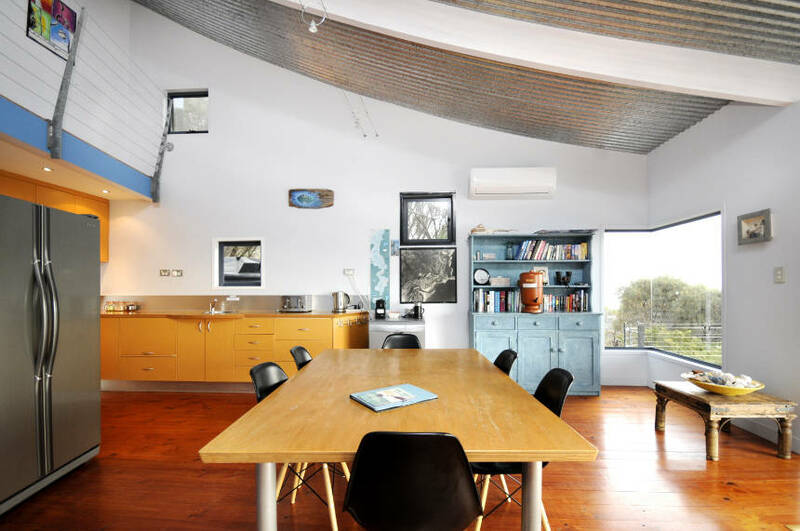 Together with three leather sofas, 2 leather lounge chairs as well as the large dining table with its trendy chairs, the house evokes relaxation and comfort. 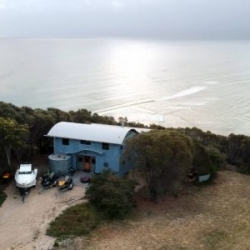 The beautiful sandy beach is simply a very short walk from ‘Waves’ and the estuary channel provides for excellent beach fishing with salmon, flathead and bream readily caught by the locals. 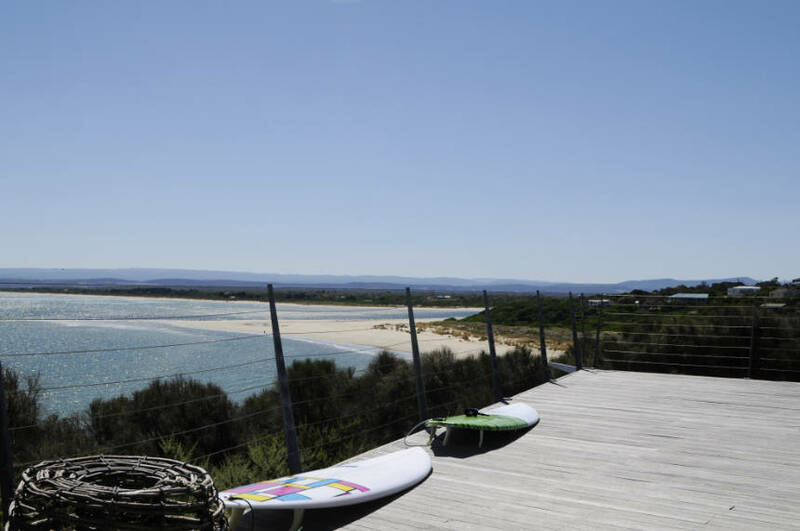 If fishing isn’t your thing, the beach is home to numerous species of birds, some of whom nest just above the high tide mark. 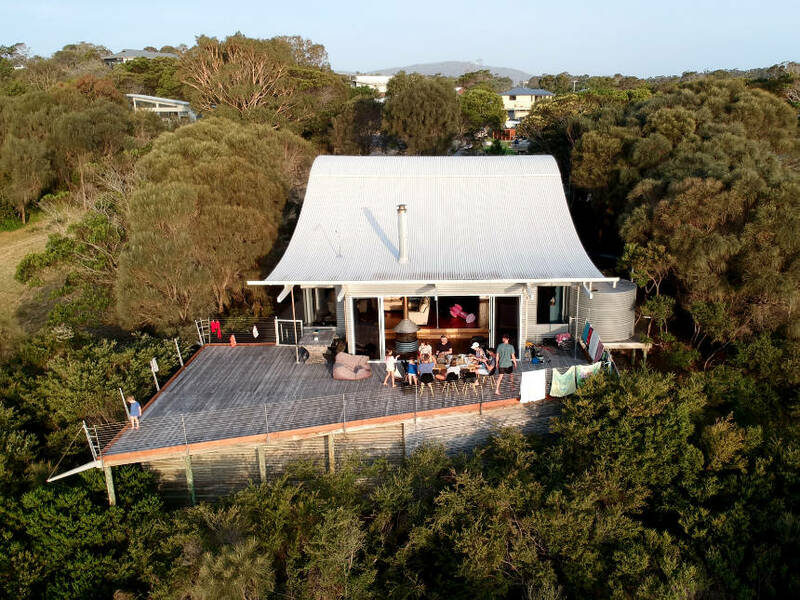 Of course, Waves is only a short drive to the world renowned Freycinet National Park as well as numerous beaches, jetties, shops, cafes, and the nearby Freycinet Gold Club. 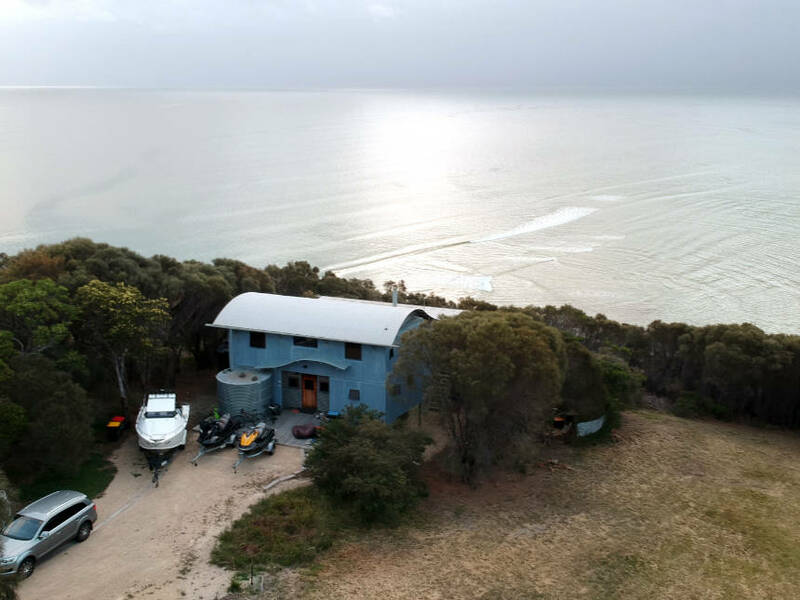 There is plenty of parking at Waves, even for a boat, and the house is set up to perfectly cater for either a couple’s romantic getaway, a family holiday at the beach, or retreat with your friends. 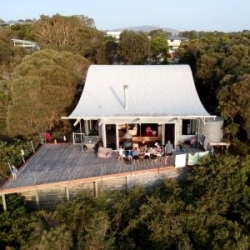 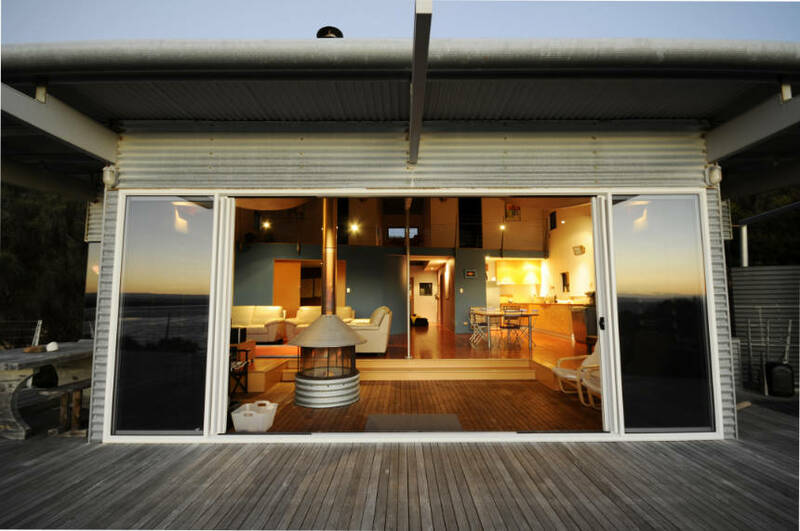 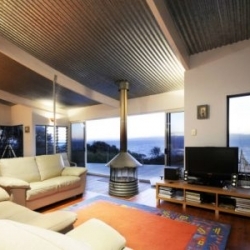 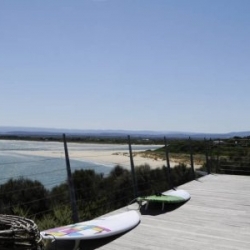 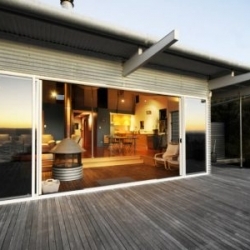 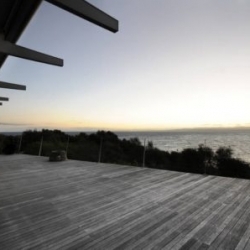 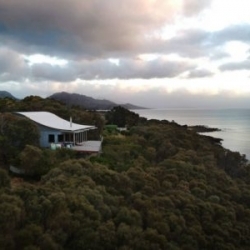 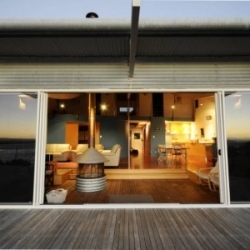 Enquire now about reserving your place at this very special Freycinet retreat!